Unlike its predecessor, the American Smart car never took off with the same ferocity. Initial excitement at the novelty of the vehicle drove sales for a short time, but the fervor was unsustainable in a market suddenly inundated with small cars with comparable fuel economy, like the Chevy Aveo or the Honda Fit. Penske Automotive Group (PAG), the original American distributor of the Smart brand, lost $16 million in its SmartUSA division in 2010. After such a profound loss, PAG gave the rights to sell Smart brand cars back to Smart’s parent company, Daimler AG, ensuring that now only Mercedes-Benz dealers distribute the vehicles in the US (5). The popularity of large cars in America may also be to blame for the stunted sales; not only does American culture tend to praise bigger as better, but the implication of an accident between a giant SUV and a tiny Smart car presents a frightening image, regardless of whether the car meets American safety standards. 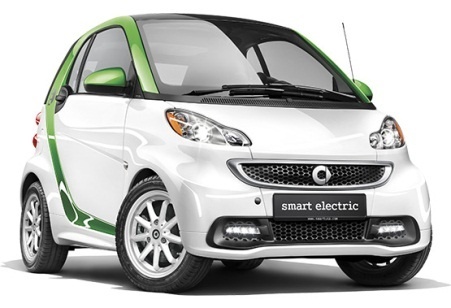 Due to underwhelming sales, there are fewer models of Smart car now available in the United States. European versions include the Smart fortwo pulse, passion, and BRABUS, all in both a coupé and cabrio models. In America, choices are limited to the Smart fortwo pure coupe, passion coupe, and passion cabriolet. These models must meet American emissions standards, and the design changes necessary to accomodate these standards may be responsible for the significantly reduced fuel efficiency. A European Smart car will get between 20% and 30% better mileage. Overall, the Smart car’s lack of popularity in the United States stems from a variety of conditions, but the most likely culprits are: its less efficient emissions-standard redesign; its vast array of recently designed non-hybrid small car competitors; the American perception of the possible safety concerns of driving such a small car in a sea of SUVs; and the less dire state of gas prices in the states as compared to Europe. Perhaps the Smart car will take off as American environmental consciousness grows, but more likely it will remain a distinctly European phenomenon.